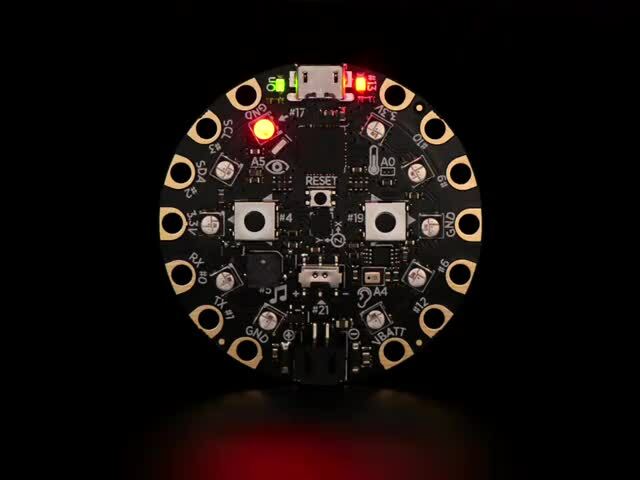 The CircuitPlayground and CircuitPlayground Express are great boards for learning with. This is largely due to the abundance of sensors and actuators built into the design. This can be great for a quick & dirty test, but isn't very robust. I got to thinking about how I could deal with this and took some inspiration from some Micro:bit products I've seen. My solution: a series of shields that bolt on through the clip holes. As usual with these things, I started by hand building a prototype. I started by tracing the outline and hole placement of the CircuitPlayground onto a piece of prototyping board, then carefully drilled the holes to match those on the CircuitPlayground. This is a bit tricky with the prototyping board, but it just has to be close enough. This prototype was meant to mount the CircuitPlayground onto a breadboard so put a couple 14-pin header strips in the center at DIP-14 spacing. The next step was to add wires. I started by soldering them to the header pins on the other side of the board, clipping them so as to leave plenty of length beyond the holes. Red for 3.3v & 5v, black for ground, blue of everything else. Mostly this was to make sure I knew how everything was oriented when it came time to mount the CircuitPlayground. 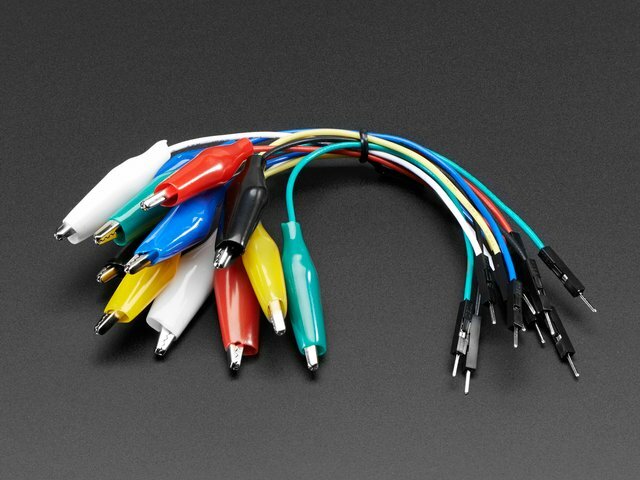 Once all wires are in place, strip the insulation off the ends, starting just inside the corresponding hole. I bent the ends to go around the bolts that would eventually go through the holes. I found it useful to use a longer bolt of the same size (M3 in my case) to bend the wire around. After that, any excess wire was trimmed off. The next step was to mount the standoffs using a matching bolt, sandwiching each wire loop between a standoff and the board.. I used hex standoffs that take M3 bolts. It's a good size for this application and the hex shape made it easy to grab when it was time to tighten things. I used 10mm standoffs because I happened to find some quickly. For future work I ordered a bunch of 6mm ones since 10mm of space is excessive. You can find the spacers in various lengths. Just be sure to get bolts that are short enough to fit when screwed into each end of the standoff (keeping in mind the thickness of the board on each side. I found both the standoffs and bolts on Amazon. Mounting one shield requires 14 standoffs and 28 bolts. For the prototype i didn't tighten them all the way; I wanted to be able to adjust them when mounting the CircuitPlayground since the hole alignment wasn't perfect. I put each bolt through a hole from below and screwed the standoff onto it. Again, not snug it up, just finger tight. Finally, I added the CircuitPlayground board, using the remaining bolts. Once all the bolts are in place, I tightened everything. Since i used hex standoffs, it was easy to grab one with needlenose pliers while tightening the bolts on either end of it. Now the CircuitPlayground could be plugged into a breadboard and I could start building without worrying about clips popping off or wires getting pulled out. So, my proof of concept CircuitPlayground shield works. The concept was proved. What was the next step? Custom PCBs, naturally! A breadboard shield exactly like the prototype outlined here. A very similar shield with a 2x14 header rather than 2 1x14 headers. This is meant to connect a cable. A prototyping shield with a standard 0.1" spaced grid of holes.. This mix allows you to prototype on a breadboard, use the CircuitPlayground on the outside of a box with more hardware inside, or put some hardware directly on the shield. The breadboard shield that converts the CircuitPlayground holes to a DIP-14 pinout making it ideal for use with a standard solderless breadboard. 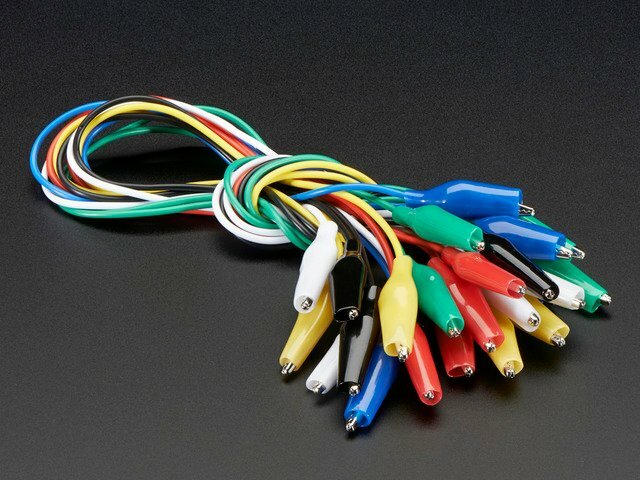 The cable shield converts the CircuitPlayground holes to a 2x7 pin header format that is ideal for attaching a ribbon cable to connect with other hardware. 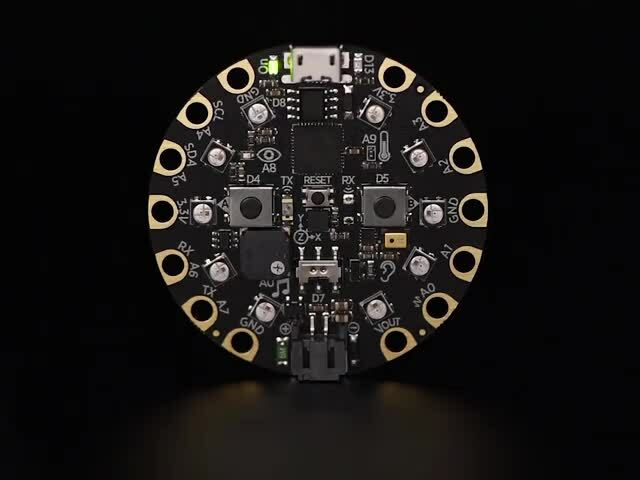 The prototyping shield provides space to add expansion hardware on the shield, connected directly to the CircuitPlayground. The shield PCBs provide a far cleaner connection than the protoboard and wire. This guide was first published on Jan 04, 2018. It was last updated on Jan 04, 2018.